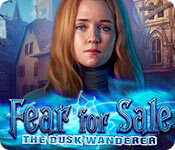 Fear for Sale: The Dusk Wanderer is rated 3.4 out of 5 by 15. Rated 5 out of 5 by Gaulkept from Well worth the money. After purchasing a different game, I got a pop-up that I could get this game for $4.99. I purchased it and I'm impressed with the length of time it took to complete it. There were several times that I thought I had finished, only to find there was another level. The only thing that I didn't like was that you play as a female character, (I'm a guy) but I'm comfortable in my masculinity so it's not a big deal. Rated 5 out of 5 by sheepqueen from I loved it! Everything was great about this game. Another awesome Fear for Sale adventure. Rated 5 out of 5 by dixiebrat from EleFun games As always EleFun has not let me down. 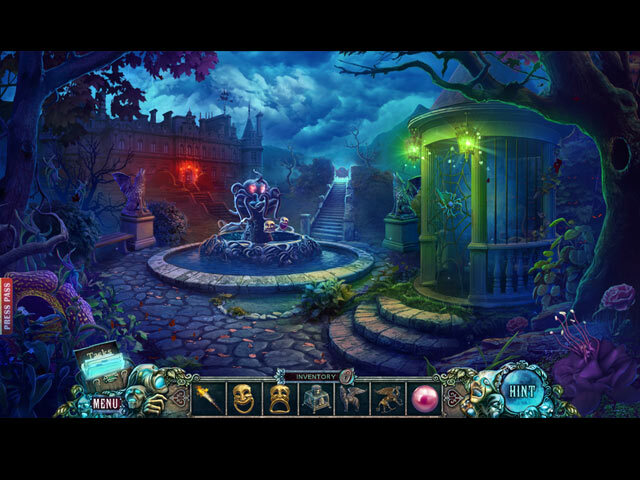 The storyline keeps you in suspense, mini games are great. I played this in one day, I couldn't wait to see what happened!!! Can't wait for another Elefun game to come out. Rated 5 out of 5 by biscuitsmama from A LOVE TRIANGLE OR SOMETHING MORE? As is always the case you play the Fear for Sale games as journalist Emma Roberts from Fear for Sale magazine. Over the years you have gained quite a reputation and now you are off and running to solve another paranormal mystery. In The Dusk Wanderer you’ve been contacted by Veronica Johnson whose brother Edgar disappeared with his fiancé Helen over 40 years ago. The strange thing is that Veronica saw Helen in the boarded up house that was her family home – one that is soon to be demolished. Veronica was so surprised that she took a picture and sure enough it is Helen. Now, the even bigger question than Helen’s reappearance is why she hasn’t aged and where is Edgar? Delve into this terrific new Fear for Sale game and see if you can find the answer to the questions so that Veronica can finally find out what happened to her brother. Although some find that the graphics are not quite as good as in other Fear for Sale games, I really haven’t noticed a difference. I think the few times there is a bit of mistiness in the scenes it is probably intentional, perhaps to emphasize the storyline. The gameplay modes include a very odd custom feature that really, IMHO seems useless and it does not offer the ability to turn off the tutorial. I am sure there are many “seasoned” HOPA players that get as annoyed as I do when that tutorial box pops up at the beginning of a game. Your tools include an interactive map that you find early in the game. The thing I like about the map is that is shows a star on each scene once you have found all the collectibles and beyond objects. You also have a unique phone that has “ghost busting” properties. Sometimes tools become annoying or are thought of as gimmicks but the phone app seems to fit well into the storyline without becoming irritating. The HOP scenes are nothing new and if you have played other games from this developer they will seem familiar. That being said, the scenes are well-designed and it is fun to find or replace items in the varying scenes, some of which are also multi-tiered. There is a storybook scene that seems new for this developer but I’m not certain. At any rate, I enjoyed all of the HOPS I have encountered thus far. The puzzles are easy but they are still fun. I have only encountered one that slowed me down a bit but even that one was entertaining. 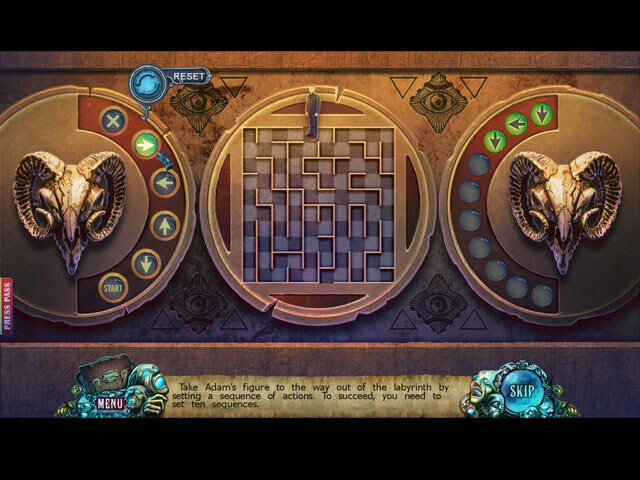 What I particularly enjoy about the puzzles is that they fit well into the storyline. I think that even those gamers who don’t care for puzzles might enjoy solving the ones in The Dusk Wanderer. If you would prefer the CE version of the game the extras include 25 collectible objects that complete 5 different sets and 35 morphing beyond objects to find. Yes there are 9 multi-level achievements to earn as well. I guess technically it is an achievement because you collect points that increase your reporting expertise as you play through the game. The standard extras include a strategy guide, bonus chapter, 9 wallpapers, 9 concept artwork, 3 screensavers, and 16 music tracks. The Fear for Sale games are ones that I almost always love and they come from a developer who I consider to be one of the best, with games that are always top-notch. I’ve been playing The Dusk Wanderer almost all morning and, IMHO, it gets better the further I get into it. I don’t want to give away the whole storyline because I want to let you discover it for yourself should you decide to purchase either the CE or SE. Since I always purchase the CE of a game, I am not sure how much they change when the SE is released but The Dusk Wanderer has a lot of entertainment to offer regardless of which version you choose. Yes, the storyline is probably familiar but I like the way this developer tells a story and all of the details they put into their games. It is fun to click on most items in a scene simply to see what happens, which is probably the reason why it takes me so long to complete a game. Nightmare Cinema is perhaps the only game in the series that is better than the Dusk Wanderer, but again it is only my opinion. Even though I love this game, please try the demo to see if this is a game you will enjoy. Rated 4 out of 5 by Aliana_4711 from Decent length and challenge. Nothing new. Story is o.k. but not outstanding. Can’t be customized in all criteria. Hint and skip recharge very short. You’re a detective, looking into a disappearance of a couple, happened years ago. It seems now, that Helen is a ghost. You’re going to release her and by the way, her boyfriend too. Some nice gimmicks along the game, click and enjoy. MiniGames: Most of them pretty easy: e.g. Puzzle, Hoses …but increasing difficulty during the game. HO’s nicely done, slightly interactive, you can switch to a puzzle. Still this silly laugh, which is supposed to be devilish. Really guys? All in all a good one: fine quality, adventure part challenging enough, decent length (played 4 1/2 hours). Story not the most exciting and logical one, but o.k. Rated 4 out of 5 by Italia47 from He looks like "Chucky" and he's bald! My review is based on a completed SE game. I really liked this game! It has intrigue, lots of great tasks, good mini-games, nice graphics--not the best but very good. I think EleFun devs put a lot of effort into this game, especially the artwork. Though the graphics were somewhat muted now and then, the color palette was very good. There are loads of objects and scenes and we were often brought back to the same scene especially where the HOPS were concerned. Speaking of which, I felt there were a smidgeon too many HOPS. But the neat thing was you had the option to choose the puzzle instead, which I did from time to time. Slightly boring though. The mini-games were very good actually, not hard but tedious and some of them required patience as usual. I like the fact that Emma's voiceover was natural and engaging. Emma always seemed optimistic when situations got real serious. I liked the character's confidence and courage, too. I usually dive right in to the game and target the strategy and game-flow, but in this case, it was Emma and the other characters that intrigued me more, which is unusual for me, because I like to move on with the game. Now there was one creepy scene, like the "Chucky" doll, who was crawling on the floor with a shackle in his mouth. Once you found the object that he needed, the shackle was released from his mouth. What spooked me was the fact that he fell asleep in a crawling position with his mouth wide open. Ironically I felt sorry for the lil' fella', and had I been one of the artists, I would have drawn him lying down peacefully. There was another character named Ben who I swear got hurt more than I could bear, and if it hadn't been for Emma's great attitude and bravery, I would have been bored to tears! I thought there were some really magical moments in this game; and for a standard version, it was quite good. I definitely rate this game 4 stars. There were a few too many cut scenes; needless to say, they were well-done. Great job, devs! Rated 4 out of 5 by BooksandGameFan from I had an enjoyable time playing this game! I really enjoyed playing this game. I'm a big fan of Elefun games and this one did not disappoint. This game ties with 13 Keys for my favorite Fear for Sales games, I'll give a slight edge to 13 Keys. I won't say it's a 5 star game but it's a solid 4 star game in my opinion. I enjoyed their Witches Legacy games more because almost everything you touched in those games did something, and they are a lot more whimsical. The fear for sale games are more a thrilling slightly spooky adventure. It's well worth the SE price or on sale. Rated 4 out of 5 by Granny_Gruff from Not Quite What You Think! Yes, Emma is investigating the disappearance and then reappearance of Helen and the disappearance of her boyfriend Edgar 40 years ago. Armed with a cell phone full of ghost apps, she will follow the trail back to Ben, friend to the two missing teens, now older but no wiser. Somehow this investigation will lead Ben and Emma into an adventure partially orchestrated long ago by Ben's dad, Adam. Good stuff: The multi layered and varied HOPs, good - but easy - mini-games, good artwork, and convoluted story are all as well done as you would expect from the Fear For Sale series. Bad stuff: The mini-games were not particularly challenging. The artwork did get a bit fuzzy occasionally, but it seemed part of the story and I didn't notice till I went back to check. Mostly I found the story took a twist that I haven't come across before and I enjoyed the game play and solving the mystery. I did finish the CE and feel the extra chapter, while entertaining, will not be missed in the SE. IMHO I think this Demo is one you should try. You can thank me later! Rated 4 out of 5 by pennmom36 from She Doesn't Look A Day Over 40! It'd been 40 years since Edgar and his fiance Helen disappeared mysteriously. Edgar's sister Veronica Johnson, fears she might be losing her mind, because she just took a picture of Helen peeking out of a window from her family's home, which has been abandoned and boarded up for years! Once she compared this picture to a picture of Helen taken just before her disappearance, she is utterly shocked, because the pictures are practically identical! Helen hasn't changed in the least bit, Helen, hasn't aged in over 40 years! Emma has her hands full with this, now you see it, now you don't case, but all roads seem to lead to Helen's friend, Ben Carmer, who just so happens to be the last person to see the couple before they disappeared without a trace.....or was there? Fear For Sale has always been a hit or miss type of game, it's either really awesome, or kind of a dud, but I have only two complaints with The Dusk Wanderer. First of all, the storyline is nothing new, in fact, I was able to figure out the plot within about 20 minutes, not just the plot, but exactly who, what, where, when and pretty much how. Secondly, the graphics are very poor. One of the features I have always loved in Fear For Sale is that they always seem to have top notch crystal clear computer generated graphics, they just didn't impress me this time. As with all other games in this series, you earn points for just about everything you do. As you earn these points, you will progress in rank status starting as a Cub Reporter then advance to Reporter, Investigative Journalist and so forth for a total of 8 rankings. For me personally, it doesn't thrill me one way or the other, I have no intention of competing with my friends to acquire a better score. This series is also known for their Collections within the CE versions, that are in Categories, this time the categories are: Against the clock, Damsel in distress, Adam's legacy, Timepieces, and Hope and redemption, each category has 5 collectibles. The Collector's Edition also has 34 Beyond Objects and the usual Achievements to earn as well, which make the CE well worth the extra money if you like CE bling. 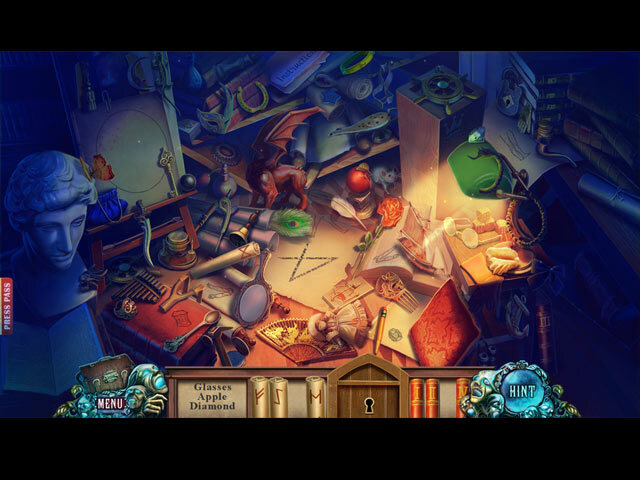 The Hidden Object Scenes are fairly typical scenes for this series, however, they are breaking out of their shell a little bit, offering keywords in sentences to find, replacing items back into the scene,finding items using your phone, interactive list finds, and silhouetted shape finds. There are also several smaller zoom zone HOP's as well as the one's requiring you to find a handful of fragments or parts scattered around the entire scene. The Mini Games are entertaining, some are super simple, others a little more intense, but all seem to be doable. Below are brief descriptions of some of the games you'll encounter during the demo: 1) Dress a mannequin to replicate the picture shown. 2) Move the Edgar's figurine next to Helen's by selecting directional arrows to move Edgar. Helen's character moves in the opposite direction of Edgar's. 3) Place torn picture fragments in a book. 4) Use the cypher to enter the correct code. 5) Follow tangled hoses to their matching color coded valves. 6) Find matching symbols to climb up the rope by selecting two rocks at a time. 7) Connect the stars to make a constellation using the given number of lines. 8) Pick the colored parts of the picture and place those colored items to their correct places in the scene. 9) Adjust levers according to the picture clue. 10) Turn the fragments of the image in such a sequence as not to block each subsequent step. 11) Select the blue symbol parts to create a symbol that the compass points to. The Collector's Edition has 9 Wallpapers, 11 Concept Art pictures, 3 Screensavers, 4 Music Soundtracks, 25 Collectibles (5 collectibles in 5 categories) 9 Achievements, 26 Hidden Object Scenes, 28 Mini Games, 35 Beyond Objects, a built in Strategy Guide and a Bonus Chapter, enjoy the Fear!